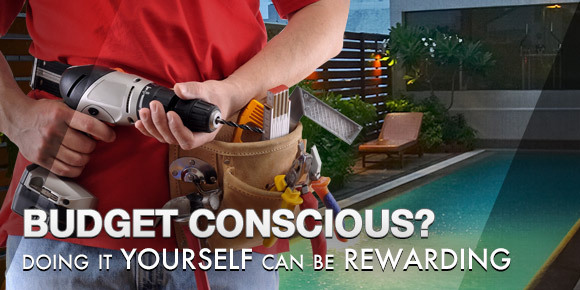 You'll be surprised at just how easy it is to go it yourself, and by following these instructions you'll master the art fencing and DIY pool fencing. *Note that you should not use rapid dry cement! The best way to erect your fence or DIY pool fencing is to start with the posts first, followed by all panels before ending with the installation of your gate. Using the fencing panel sizes as a guide, estimate where you'll place the panels and where the fence will run. Once you've determined where you'll put the corners of your fence, hammer a stake into the ground about 1 metre past each corner point and run a string line from these stakes at approximately 200mm off the ground. This will give you a straight line from point to point from which to work. Again, use the panels as a guide to divide the area into even spaces and mark where you'll install each fence post. Dig the postholes at approximately 500mm deep and 200mm in diameter. Note: The distance between gateposts is 30mm wider then the actual gate size. Place the fence posts in the holes, leaving approximately 1300mm above the finished ground level (1200mm for panel, 60-70mm gap under and 20-30mm above panel). Fill the holes with wet concrete mix using the string line to ensure the posts run straight and the spirit level to check that fence posts are 100% vertical. For the best results install the fence posts first, allowing the concrete to set for at least 24 hours before installing the fencing panels and gate. It is important not to disturb the posts during this period. Once your posts are firm, starting at a corner, place the first fence panel into position. The panel should be 70-80mm off the finished ground level and less than 10mm smaller than the gap between the fence posts. Use the spirit level to check that the panel is 100% horizontal. 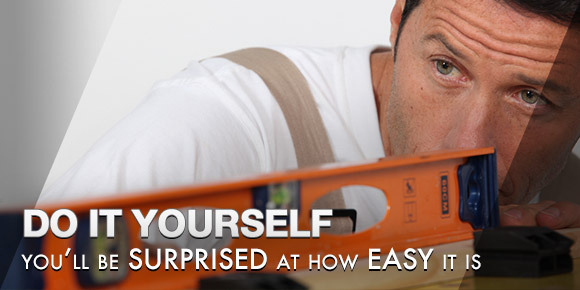 Fit the top panel brackets using your screw gun. Be careful not to drill too hard since the screws can spin quite easily. Next, move the string line up the post, level with the top of these panel brackets, to create a new level line for each run of the fence, measuring down to check the gap under the panel. Screw in the top brackets level with this second string line. Starting at the corner, place that end of the panel into the bracket, pushing the next post slightly to slot the other end of the panel into place. 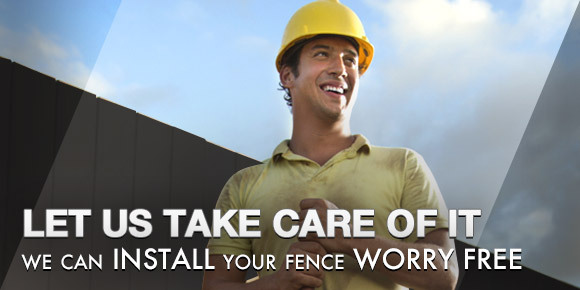 Continue building your fence, panel by panel, until all panels are in place. Before installing the bottom brackets and under pinning the top brackets, look along the line of fencing panels and double check that you are happy with their placement. Fit the hinges to outside of the gate, positioning them as far apart as possible. Lift the gate into position and screw the hinges to the fencepost. If your fencing is to house a swimming pool, ensure that the gate opens away from the pool so that young children will push the gate shut rather than open if trying to gain access. Specific gate latch instructions are included with your gate latch in the sealed package. Easy! You should now have a completed FenceCorp fence and gate set up and looking great. If you have any questions during your DIY pool fencing set up please don’t hesitate to contact our Brisbane team and we’ll further guide you through the process.